As often happens in yearly fantasy baseball drafts, those young pitchers, and hitters who we all clamor for each spring tend to disappoint when the hype gets out of hand. 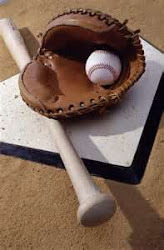 Like with almost any young player, the start of a new MLB season is a big challenge in terms of being able to handle the daily grind of playing a game every day and also trying to hold their own versus the best competition they ever have faced. Slow starts tend to result and that is when the angst really begins for the fantasy baseball owners of such players. Basically, like what the owners of the Cincinnati Reds' Luis Castillo are feeling. While the K/IP ratio is very solid, Castillo has given up 12 hits in his 10 innings and also walked four. He has looked nothing like the smooth rookie who dominated at times in 2017 and so now there is concern that if he doesn't turn things around, a demotion back to Triple-A could be on the way since the Reds have to worry about his confidence getting too battered. While that is not something that appears to be imminent, Castillo has to lock in and throw a good outing his next time out to stem the tide of worry. So what has gone wrong here? Well for one thing, you have to go with the assumption that opposing hitters went to the video tape on Castillo during the winter and now have a better approach to how to face him this season. In addition, Castillo has pitched both at home and in Pittsburgh and both times out the weather was freezing. A young pitcher could especially be troubled in the elements and so that has to be taken into consideration. So in essence, Castillo should be given a bit of a leash in terms of what he has done so far. In terms of what to do with him now, I would suggest benching Castillo for his next start in order to see if he can get his act together. If Castillo throws well, then put him back out there for start number 4. The talent is too obvious to give up on Castillo just yet so stay patient for a bit longer on the kid.